When David first came here in January he told me that an IKEA was being built and that it would open sometime during the summer. But it wasn’t until we were taking a quick tour of nearby Toruń, one of the oldest towns in Poland and the birthplace of astronomer Nicholaus Copernicus (a fun fact for you), that the dream became a reality. 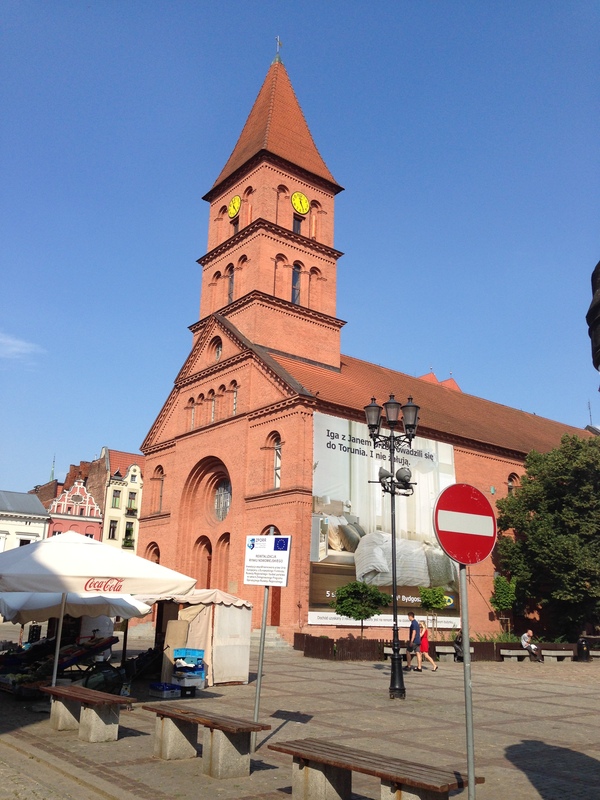 We went to the middle of town – Square Rynek Nowomiejsk – and that is where I saw this. A big banner advertising the opening of the IKEA in Bydgoszcz. 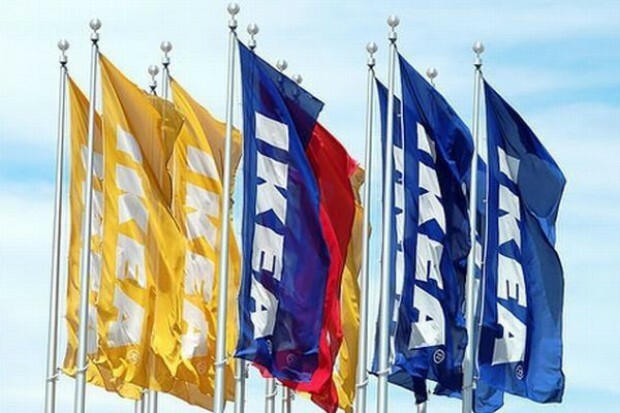 If you look carefully, hidden behind the tree is the IKEA logo. Anyone besides me think that it’s a little odd that this banner is on the side of a historic church in the old town square? Is it an ingenious way to make some money for the upkeep by renting out space on the side to advertise? 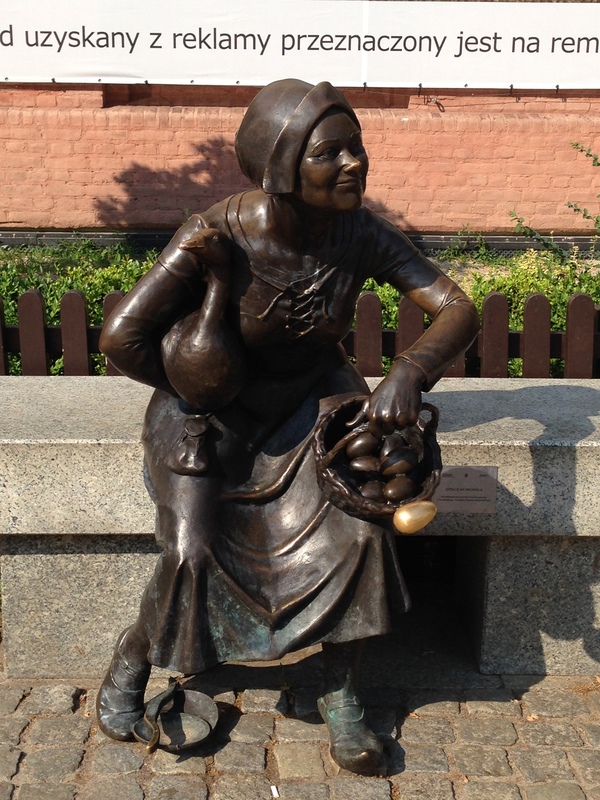 I didn’t really take many pictures except one of this statue of a Market woman carrying a goose and perhaps has something to do with the fairy tale of the Goose that Laid the Golden Egg. This statue is right in front of the billboard. If you look closely, you can see it in the picture above. We skipped the frenzy of going to IKEA when they first opened on August 6th and waited an entire week before we made the 15 minute trip. Sure beats driving 4-5 hours (if you’re lucky with traffic) driving from Virginia Beach to the IKEA in Woodbridge. Only problem is that because we still don’t know if we are staying here in Bydgoszcz past the end of this year, my buying power is severely limited. No shopping for furniture…our flat is furnished. No shopping for picture frames or pictures…we aren’t allowed to hang anything on the walls. No shopping for curtains…still can’t hang anything on the walls. So food it was! Yes, we went to eat dinner there. 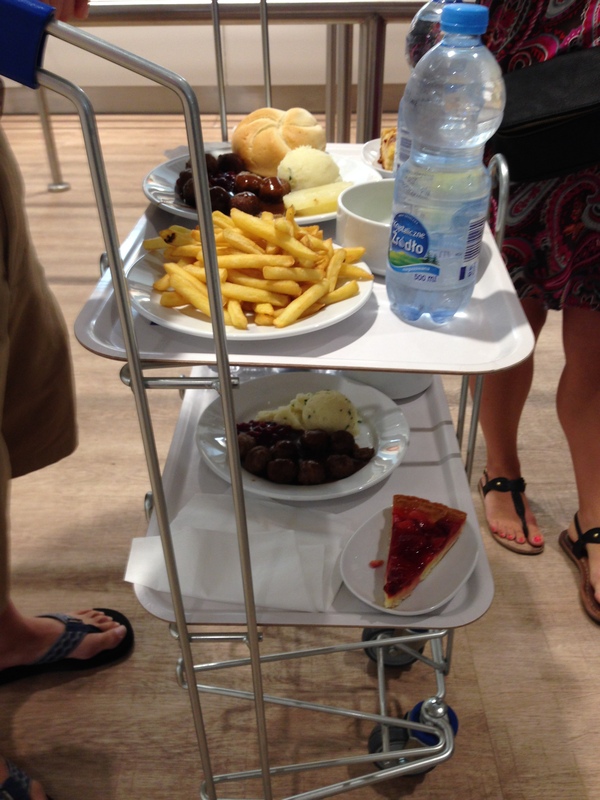 And discovered that they have something there that I haven’t seen in the US IKEA’s…these handy-dandy carts. No more balancing your dinner tray and trying not to drop the meatballs that might be rolling around on your plate. 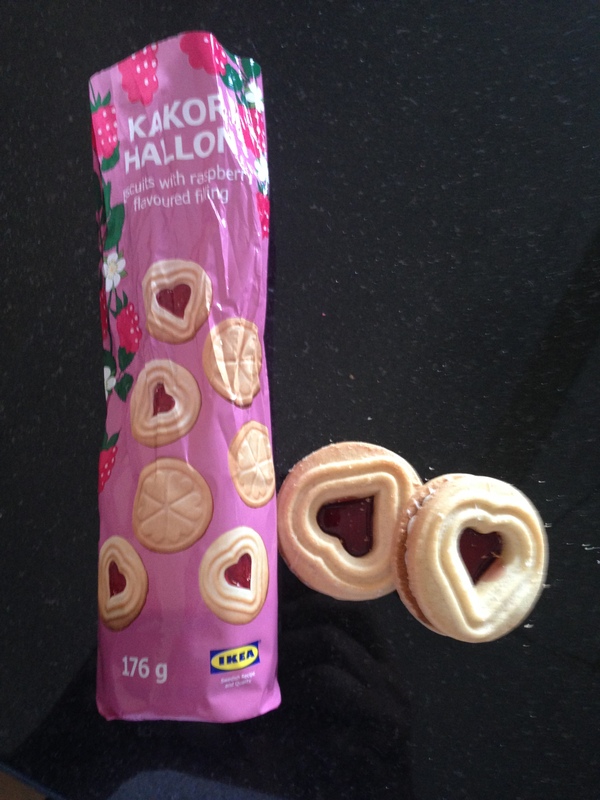 And also to buy these cookies….I love these. I might have already sampled a few before I took the picture. And I also bought these. Recloseable bags! 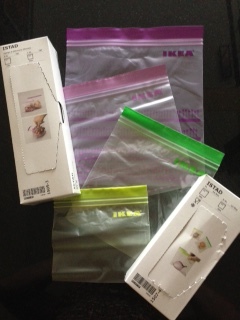 (IKEA’s version of Ziploc bags) If you read my earlier shopping post you know that I haven’t seen a single Ziploc type bag since I’ve been here…so when I spied these…well, I just had to purchase them. Best thing is that you get two sizes in each box! Yes, it’s the little things like this that make my day. Thanks for reading! I’m glad you enjoyed it. I’ll be back to posting soon!